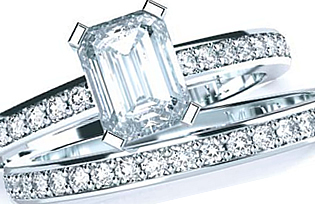 Wedding rings are worn at the base of the ring finger on either the left or right finger. As you will probably be selecting your wedding ring after your engagement ring you may like to consider how the two will sit together on your partner’s finger. Metal / Alloy: Sterling Silver, 9ct Yellow Gold, 9ct Pink Gold, 9ct White Gold, 14ct Yellow Gold, 14ct Pink Gold, 14ct White Gold, 18ct Yellow Gold, 18ct Pink Gold, 18ct White Gold, Palladium, Platinum. Metal Finish: Polished, Satin, Matt/Emery, Sandblasted, Brushed. 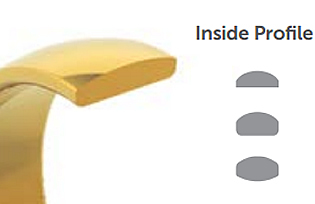 Outside/Inside Profile: Flat, Flat Bevel, Flat Radius Edge, Half Round, Half Round – Flat Edge, Radius Edge, Bevel Edge, Step Edge. Ring Size: Hopefully you would have this from the engagement ring however if not, view our Ring Size Guide.